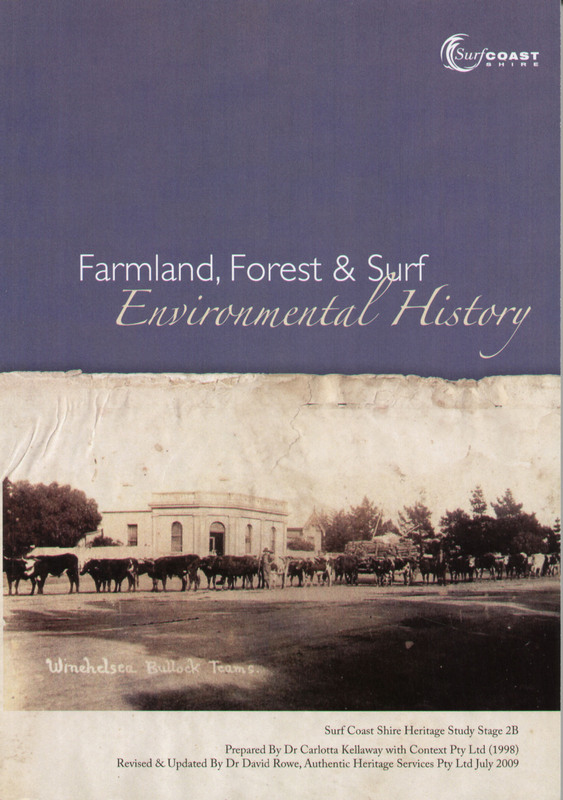 Farmland, Forest & Surf: Environmental History, prepared by Dr Carlotta Kellaway (1998), revised & updated by Dr David Rowe (2009) as part of the Surf Coast Shire Heritage Study Stage 2B (2009). 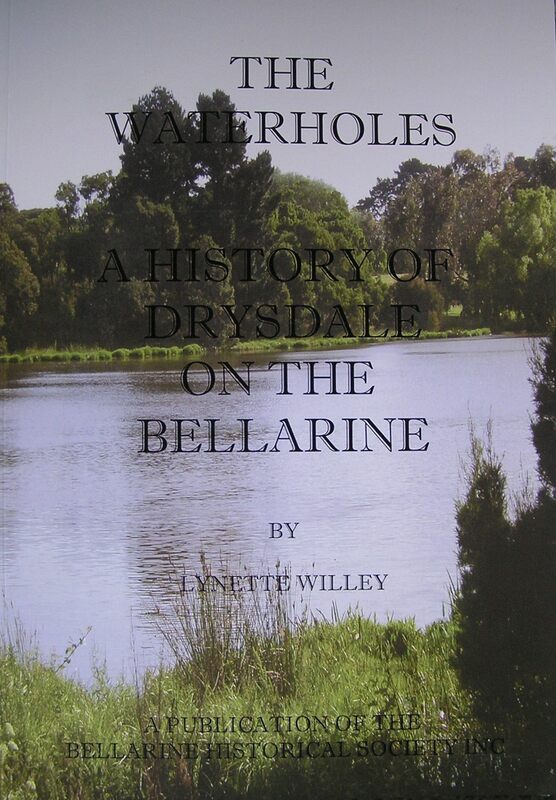 This publication of the Environmental History from the Heritage Study was produced by the Surf Coast Shire (2010). Introduction: The Surf Coast Shire’s special landscape features and natural beauties have been identified over many decades as factors that have contributed to its popularity both as a holiday and resort place, and a desirable place to live and work. Although close to Melbourne and to Geelong, Victoria’s second largest town, the Shire (an amalgam of parts of the former Shires of Barrabool, South Barwon and Winchelsea) is notable for its attractive natural features and relatively undeveloped condition. It includes coastal holiday places along the Great Ocean Road, large areas of national park and forest reserves, and extensive pastoral landscapes. 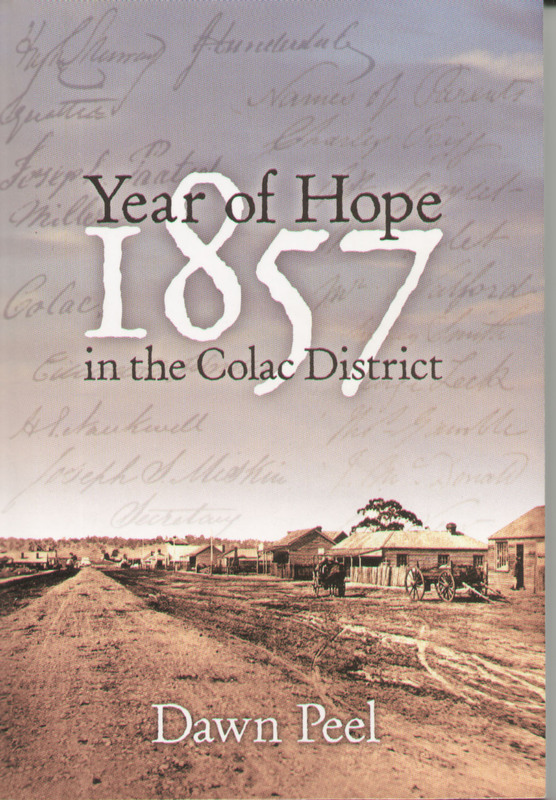 This publication includes the following chapters: The Natural Environment; Arrival and Settlement; Economic Development in the Shire; Transport and Communications; Towns; Governing the Shire; Holidaying at Surf Coast; Community Life; Housing; and an extensive bibliography.